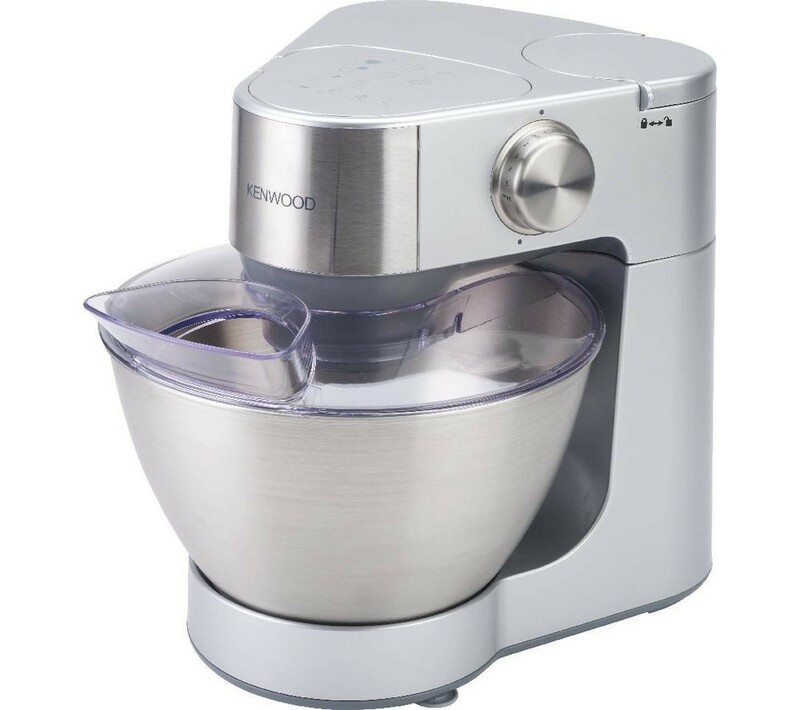 If space is at a premium and you're looking for an easy to use kitchen machine Kenwood Prospero KM240SI Stand Mixer 900W 4.3L Bowl is the product for you. The Kenwood Prospero Mixer is the ideal food preparation partner for everyday use in a family kitchen. The Mixer has variable speed control and the speeds increase gradually providing the user with total control. This sort of control will stop the speeds 'jump' from one to another which could cause the mixture to be thrown from the bowl. Kenwood has added pulse, giving the user the ability to stop and start where needed. This function is perfect to avoid over processing or for crushing ice in the blender attachment. The electronic speed sensor control is also designed to maintain the speed under different load conditions, such as kneading bread dough or when eggs are added to a cake mix. The speed control is positioned on the side of the machine which makes it user friendly whether the machine is used front on or side on. This Mixer also has 2 outlets that run at different speed for specific tasks and are located on the top of the machine, so there is no need to move the machine around the worktop in order to connect the attachments.